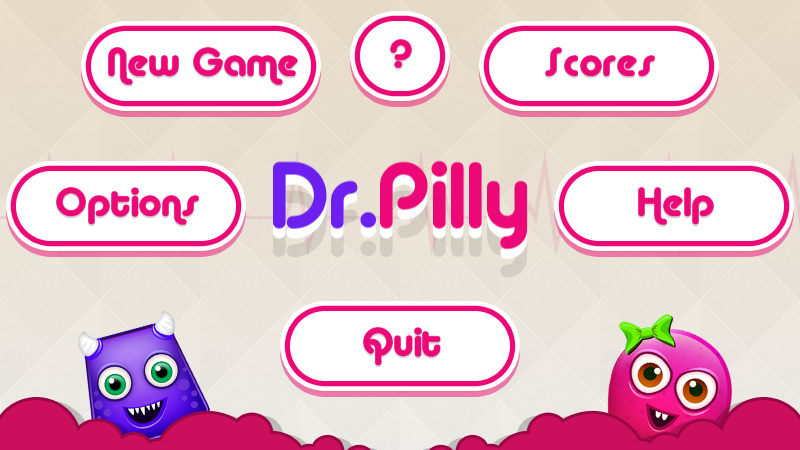 Dr Pilly is an addictive puzzle game ! 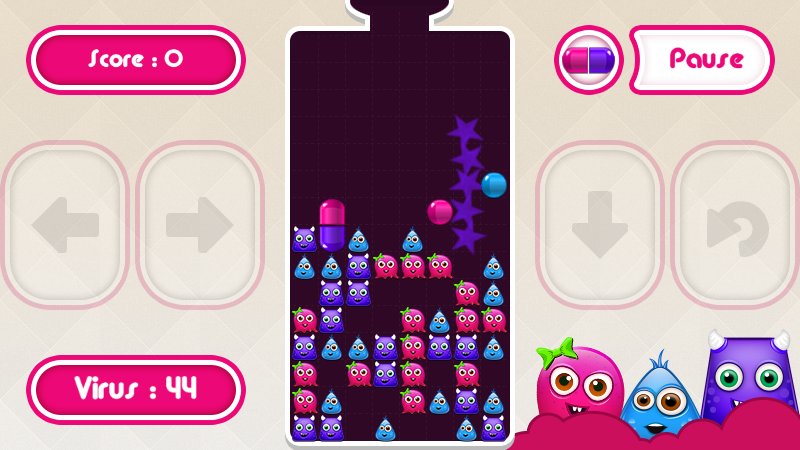 Destroy all viruses of the bottle using the color pills. 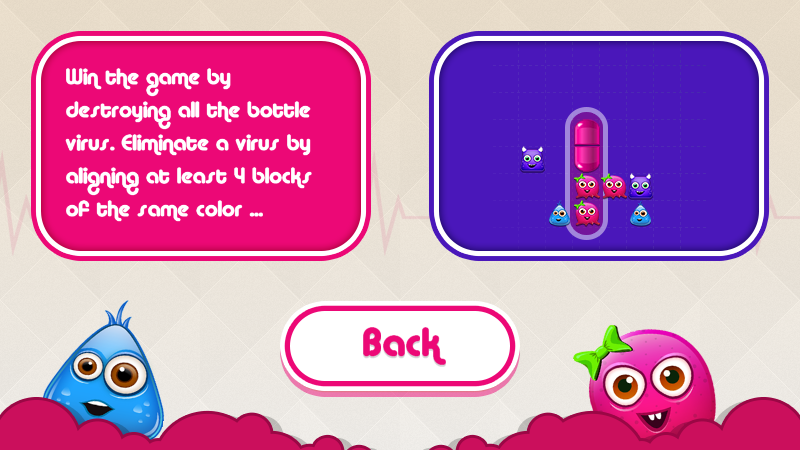 To destroy a virus you must line up at least 4 blocks of the same color horizontally or vertically. - Save your best scores on your phone and compare the worldwide top 3 !